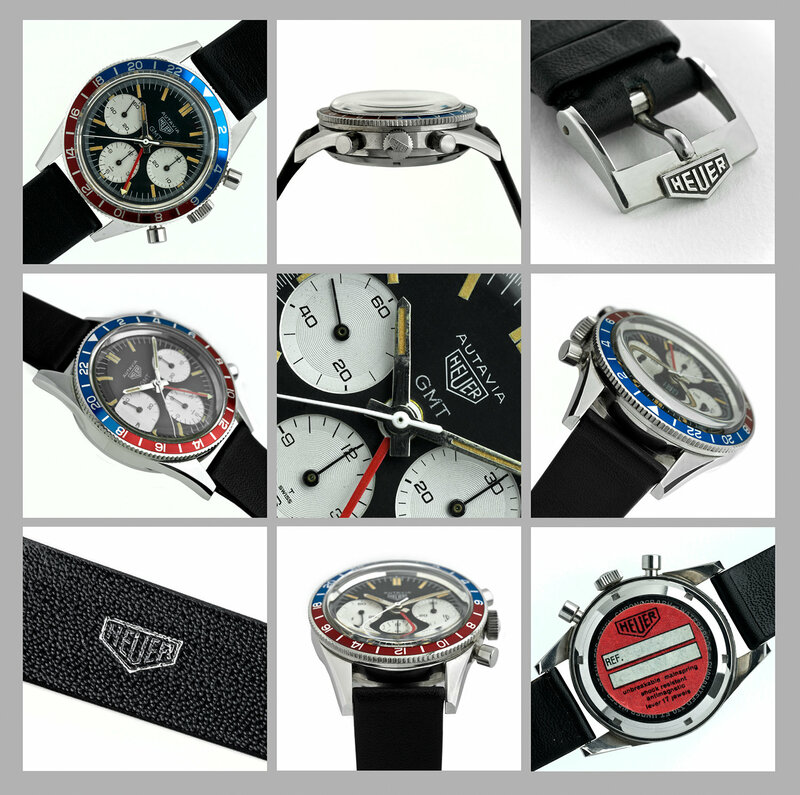 An all new Autavia 2446c GMT launched in 1968/69 in a 40mm compression case housing a manual wind Valjoux 724 movement. Two different cases were used with subtle differences including the fit diameter of the bezel. In general first cases had engraved back, plain pushers and plain steel hands. Second cases had plain backs, fluted pushers and hour and minute hands with red insert. The rotating bezels are not interchangeable between 1st and 2nd case.